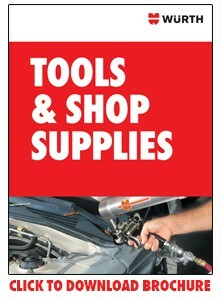 Wurth USA carries an extensive line of top-quality automotive hand tools, air tools and dent repair solutions. Our extensive line of shop and safety supplies are designed to keep your operation running smoothly, safely and economically. To see our complete line of tools and safety supplies, visit our online catalog.